A spray of botanically correct, handmade sugar icing flowers is a lovely finish to any cake, from a single flower such as a large rose or gerbera, to a bouquet or large spray. 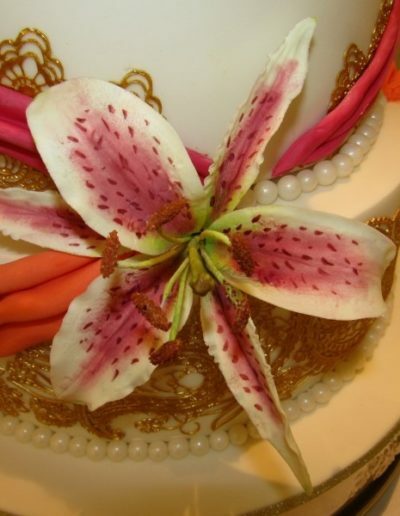 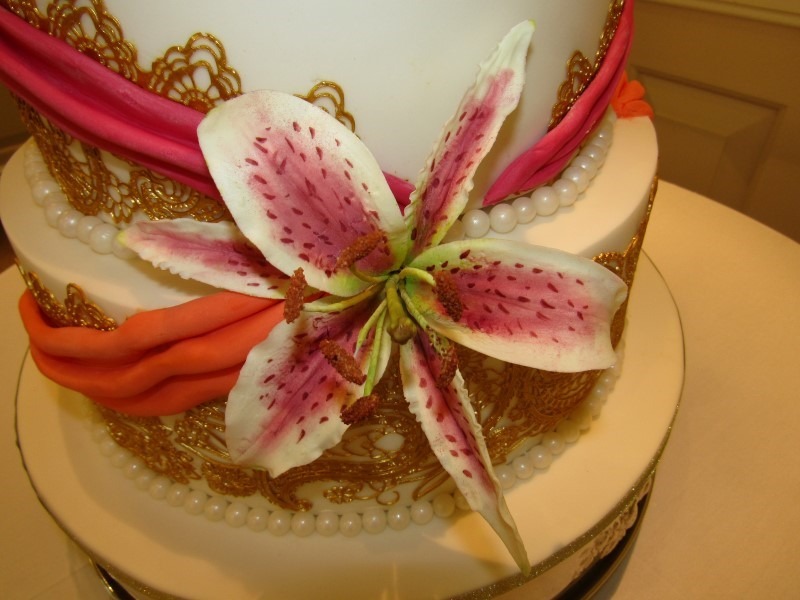 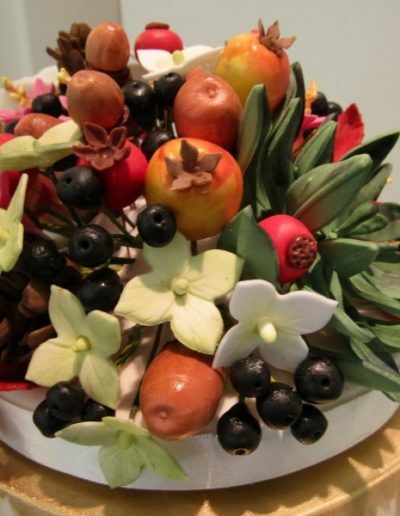 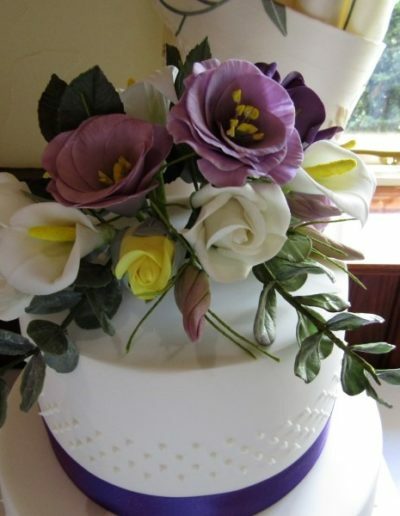 Sugar icing flowers can be made to adorn the top of the cake or the sides or even both, often cascading down the front of the cake making them the main decortion. 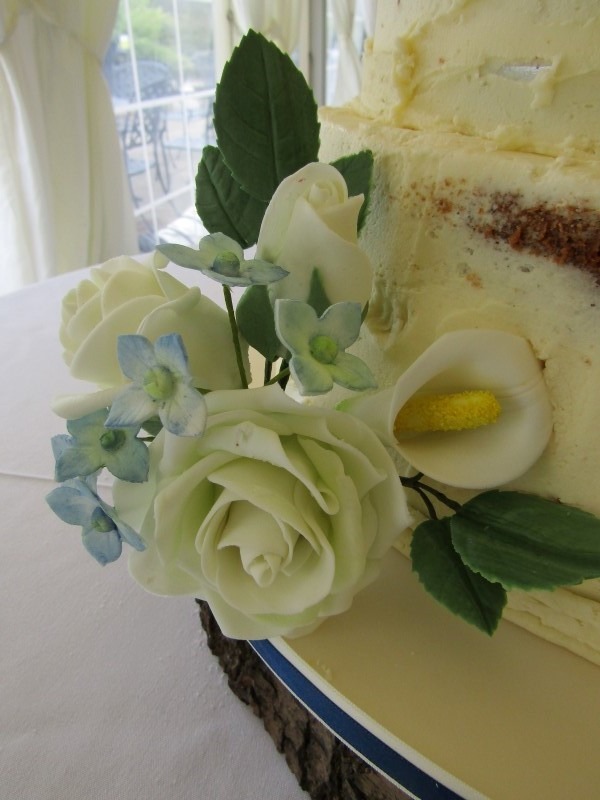 The beauty of flowers made from icing/sugar is that they can be kept after the wedding making a great momento from the day. 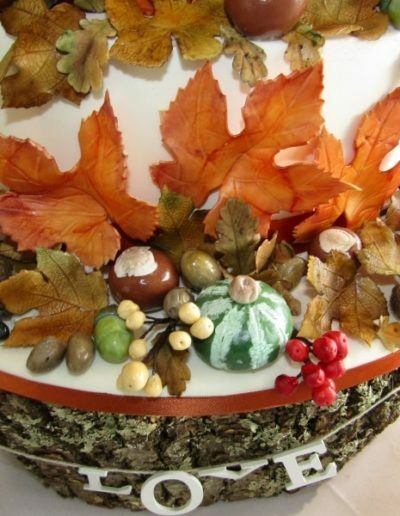 As long as they are kept dry (not in a sealed container either) they will last indefinitely. 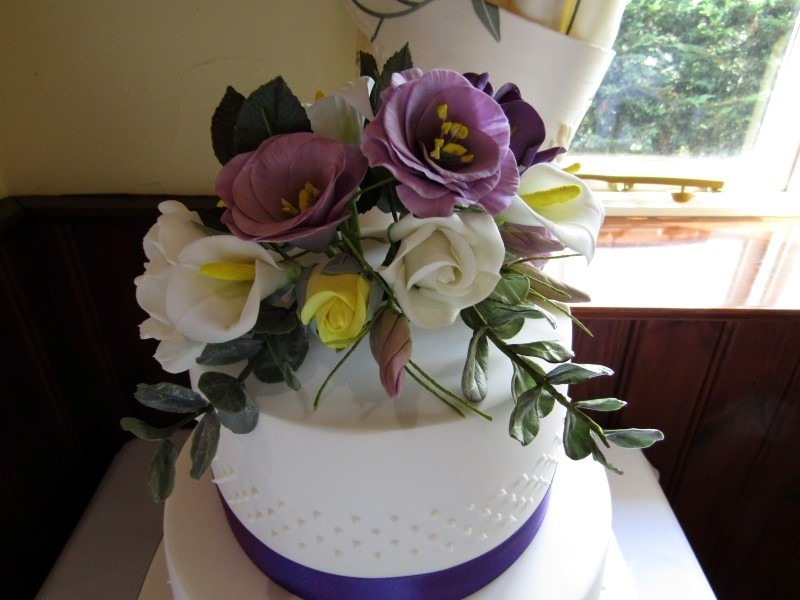 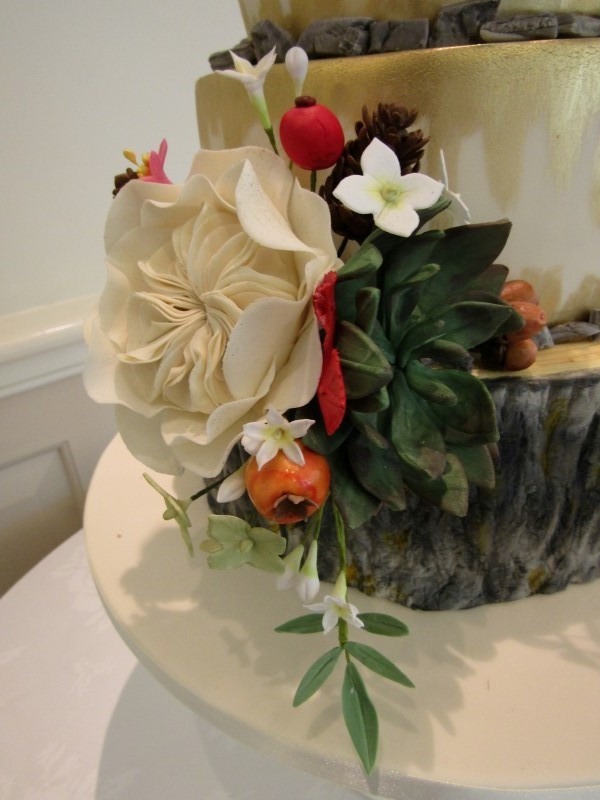 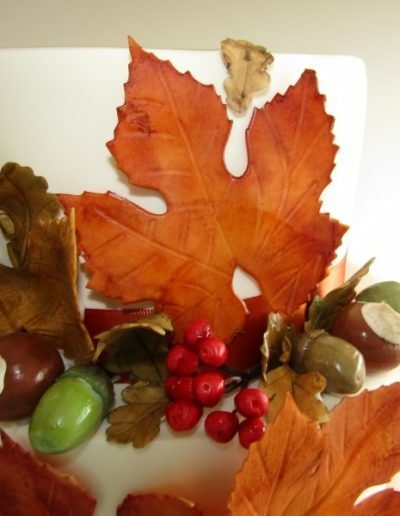 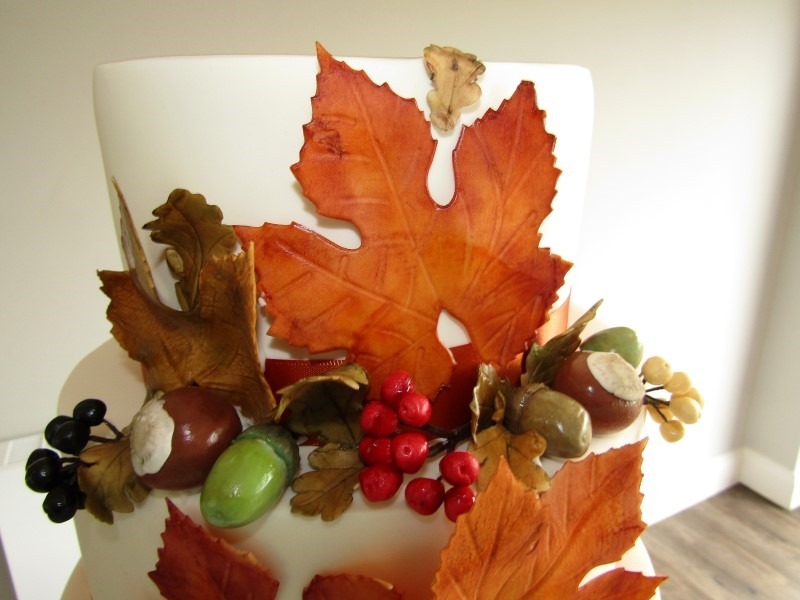 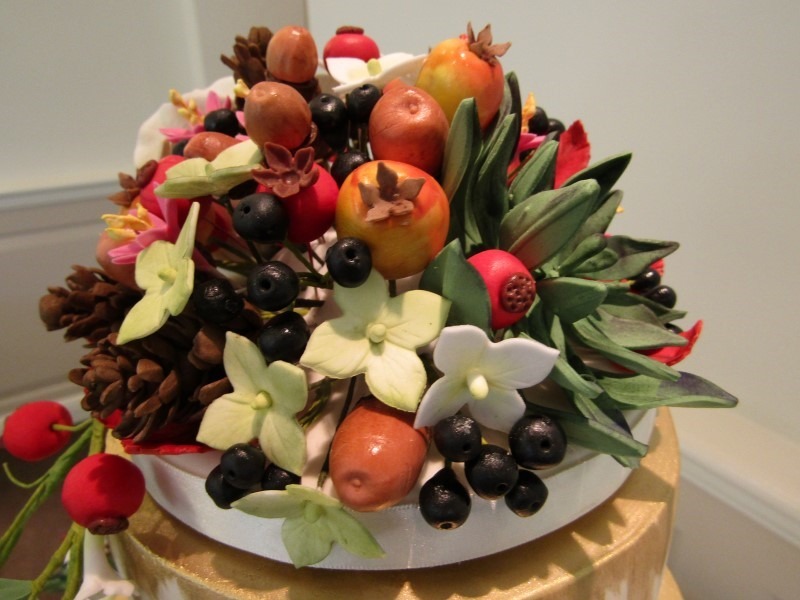 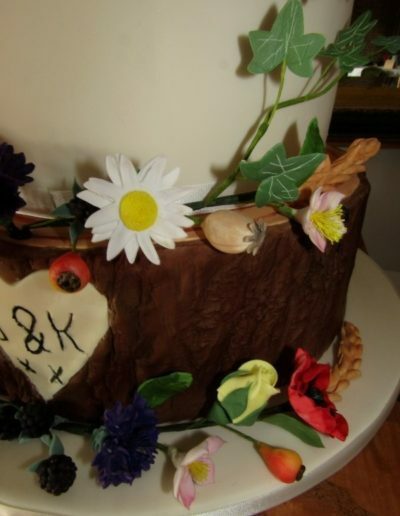 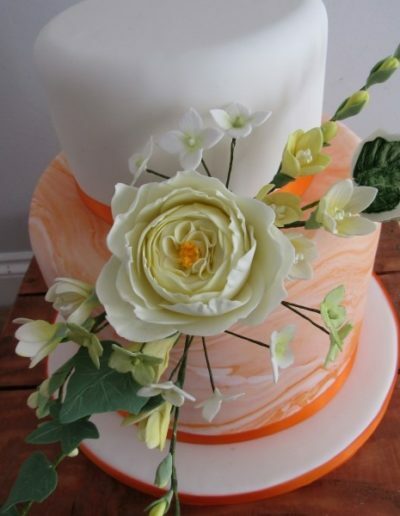 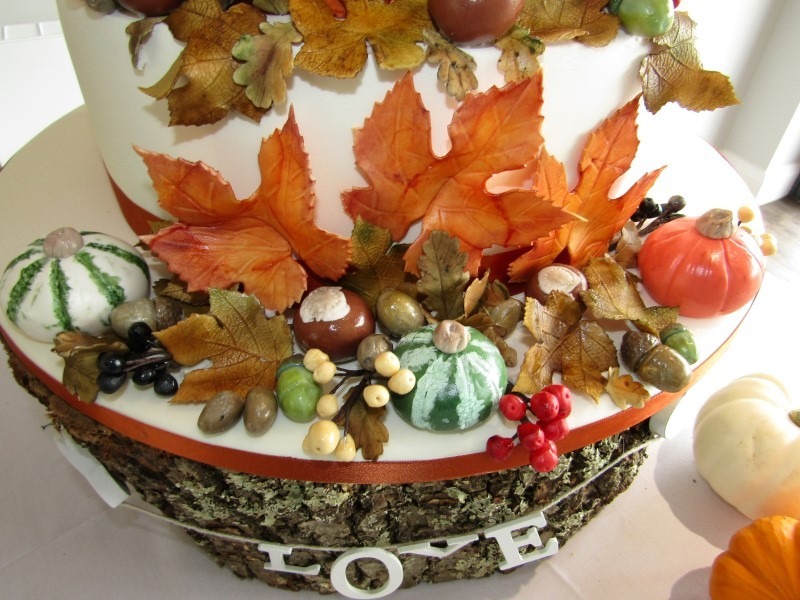 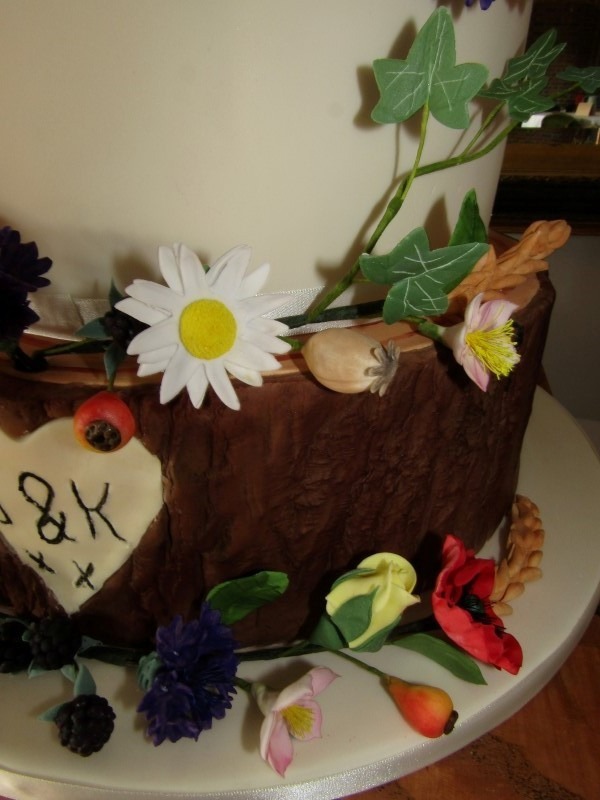 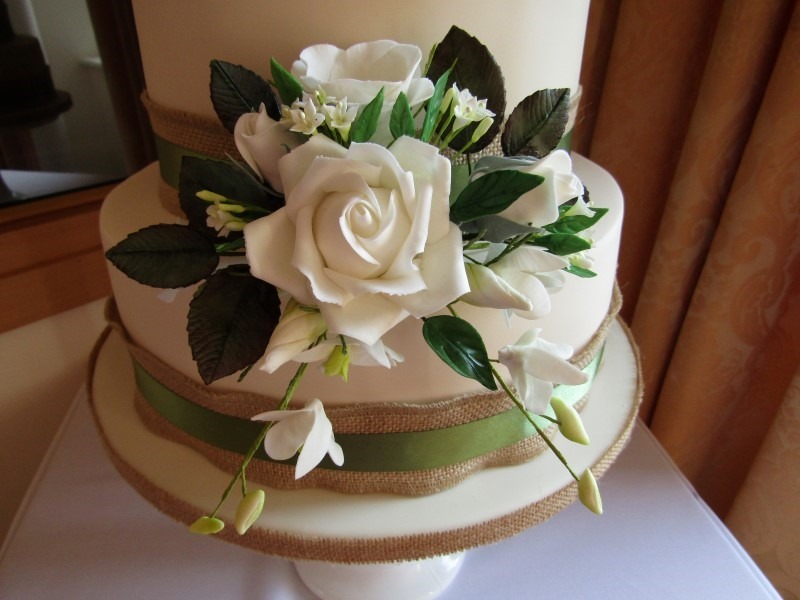 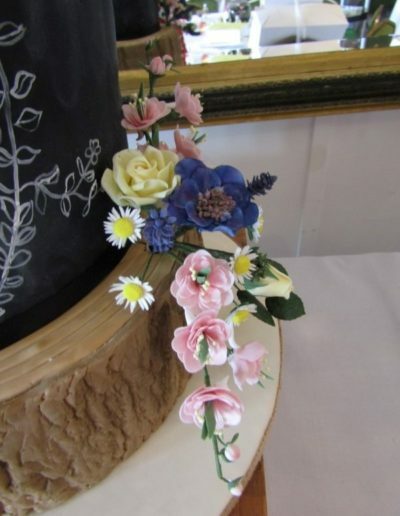 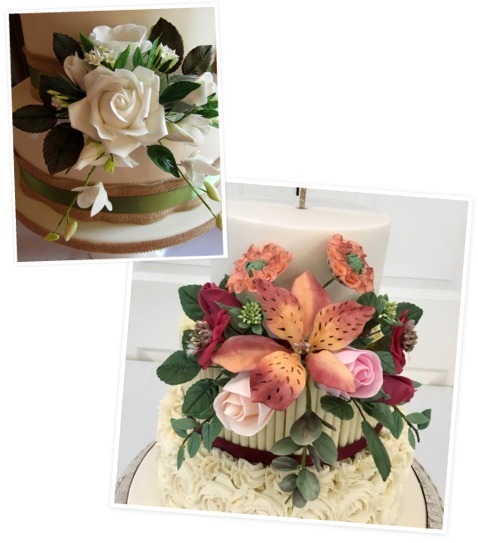 Iced Images cakes are able to work with you and your florist to make the exact flowers that you are having in your bouquet or in your table centres to add to your cake. 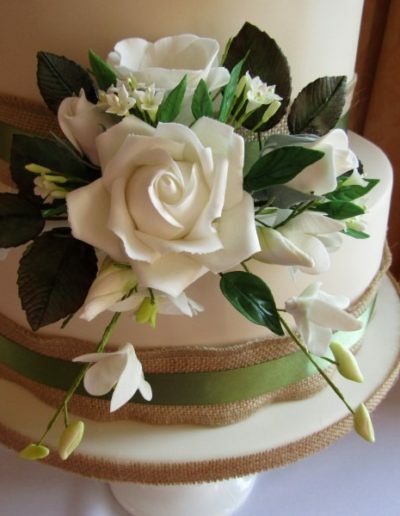 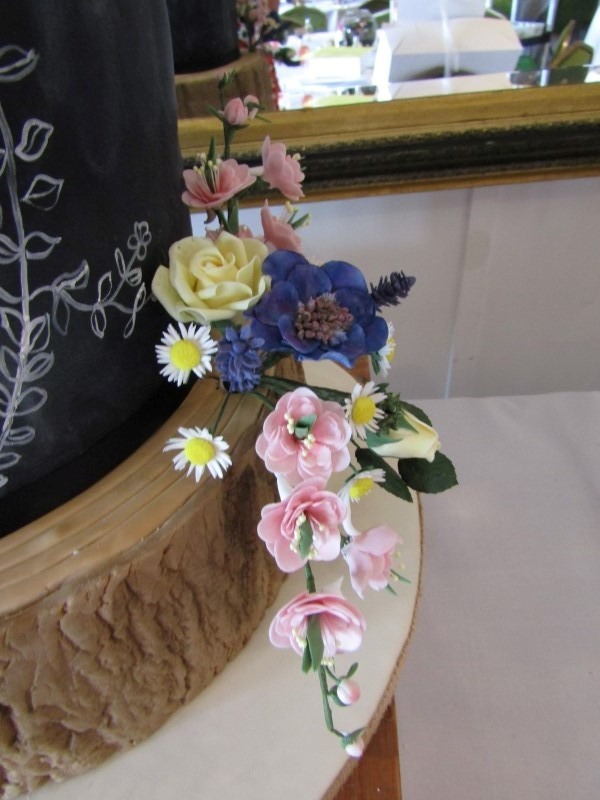 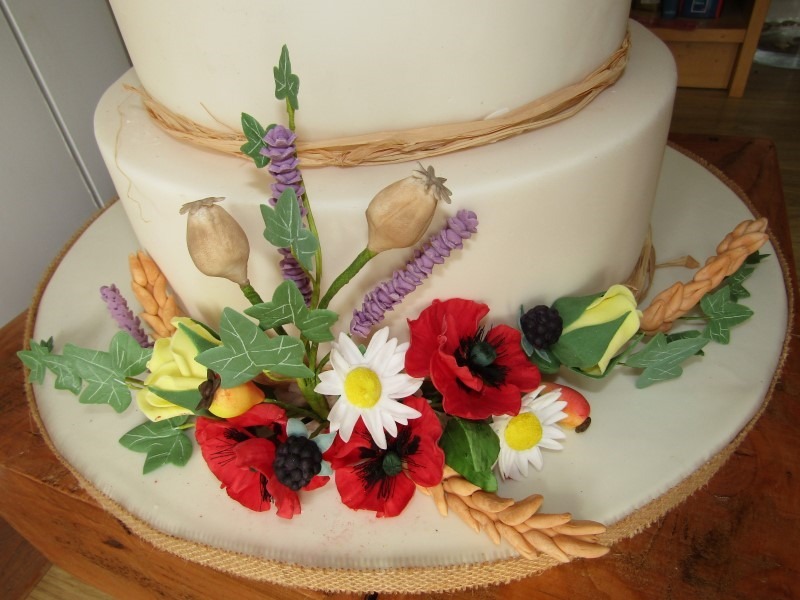 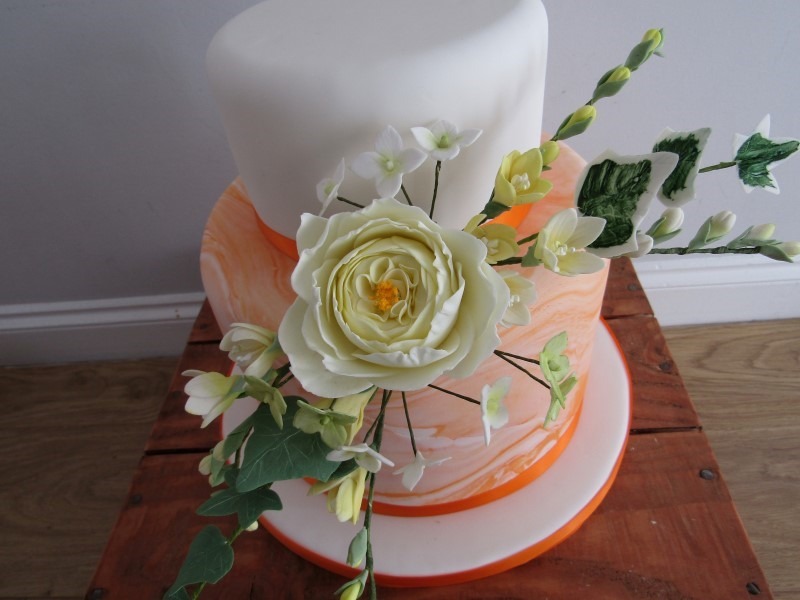 Please note whilst the flowers are made of icing, many of them depending upon the design contain wires to create the stem and should there not be eaten. 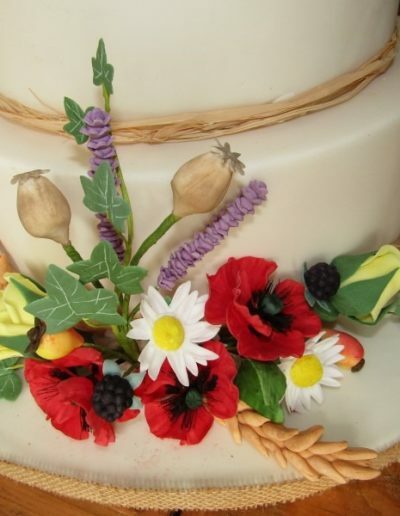 It is also against food regulations for the wires to be inserted directly in to the cake.